E B Sanders, D.C., is a chiropractor located in Fresno, CA. Techniques: • Diversified Take the next step and contact Dr. E B Sanders, D.C., for a consultation in Fresno, CA or to get more information. John H Hokokian, D.C., is a chiropractor located in Fresno, CA. Techniques: • Gonstead • Diversified • Thompson • Flexion-Distraction Take the next step and contact Dr. John H Hokokian, D.C., for a consultation in Fresno, CA or to get more information. Susan DeGruchy, D.C., is a chiropractor located in Fresno, CA. Take the next step and contact Dr. Susan DeGruchy, D.C., for a consultation in Fresno, CA or to get more information. Warren H Wheelock, D.C., is a chiropractor located in Fresno, CA. Techniques: • Gonstead • Thompson Take the next step and contact Dr. Warren H Wheelock, D.C., for a consultation in Fresno, CA or to get more information. 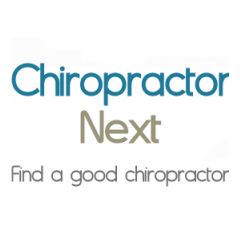 Nada Nenadovic, D.C., is a chiropractor located in Fresno, CA. Techniques: • Sacro Occipital Technique • Activator Methods • Nimmo Take the next step and contact Dr. Nada Nenadovic, D.C., for a consultation in Fresno, CA or to get more information. Jeffrey A Stoltenberg, D.C., is a chiropractor located in Fresno, CA. Take the next step and contact Dr. Jeffrey A Stoltenberg, D.C., for a consultation in Fresno, CA or to get more information. Kenneth Gillanders, D.C., is a chiropractor located in Fresno, CA. Take the next step and contact Dr. Kenneth Gillanders, D.C., for a consultation in Fresno, CA or to get more information. Eric Roy Johnson, D.C., is a chiropractor located in Fresno, CA. Techniques: • Diversified • Thompson • Pulstar Computerized Adjusting Take the next step and contact Dr. Eric Roy Johnson, D.C., for a consultation in Fresno, CA or to get more information. Claudia Anrig, D.C., is a chiropractor located in Fresno, CA. Techniques: • Gonstead Take the next step and contact Dr. Claudia Anrig, D.C., for a consultation in Fresno, CA or to get more information. I Frank Huljev, D.C., is a chiropractor located in Fresno, CA. Take the next step and contact Dr. I Frank Huljev, D.C., for a consultation in Fresno, CA or to get more information. Bradley Pruett, D.C., is a chiropractor located in Fresno, CA. Take the next step and contact Dr. Bradley Pruett, D.C., for a consultation in Fresno, CA or to get more information. Donald Poladian, D.C., is a chiropractor located in Fresno, CA. Take the next step and contact Dr. Donald Poladian, D.C., for a consultation in Fresno, CA or to get more information. Marshal F Gong, D.C., is a chiropractor located in Fresno, CA. Take the next step and contact Dr. Marshal F Gong, D.C., for a consultation in Fresno, CA or to get more information. Gregory S Johnson, D.C., is a chiropractor located in Fresno, CA. Techniques: • Gonstead • Diversified Take the next step and contact Dr. Gregory S Johnson, D.C., for a consultation in Fresno, CA or to get more information. Timothy F Myers, D.C., is a chiropractor located in Fresno, CA. Techniques: • Diversified • Cox Take the next step and contact Dr. Timothy F Myers, D.C., for a consultation in Fresno, CA or to get more information. Fue Lee, D.C., is a chiropractor located in Fresno, CA. Take the next step and contact Dr. Fue Lee, D.C., for a consultation in Fresno, CA or to get more information. Frank J Molthen Sr, D.C.
Frank J Molthen Sr, D.C., is a chiropractor located in Fresno, CA. Techniques: • Gonstead • Diversified • Applied Kinesiology Take the next step and contact Dr. Frank J Molthen Sr, D.C., for a consultation in Fresno, CA or to get more information. Clyde Curry, D.C., is a chiropractor located in Fresno, CA. Techniques: • Palmer Package • Diversified Take the next step and contact Dr. Clyde Curry, D.C., for a consultation in Fresno, CA or to get more information. John D. Dawson, D.C., is a chiropractor located in Fresno, CA. Techniques: • Diversified • Activator Methods • Manual Adjusting • Palmer Package • Traction • Trigger Point Therapy Take the next step and contact Dr. John D. Dawson, D.C., for a consultation in Fresno, CA or to get more information. E D Harris, D.C., is a chiropractor located in Fresno, CA. Techniques: • Diversified Take the next step and contact Dr. E D Harris, D.C., for a consultation in Fresno, CA or to get more information. Lien Dao, D.C., is a chiropractor located in Fresno, CA. Techniques: • Activator Methods • Pettibon Take the next step and contact Dr. Lien Dao, D.C., for a consultation in Fresno, CA or to get more information. London L Jones, D.C., is a chiropractor located in Fresno, CA. Take the next step and contact Dr. London L Jones, D.C., for a consultation in Fresno, CA or to get more information. Ronald W Richards, D.C., is a chiropractor located in Fresno, CA. Techniques: • Diversified Take the next step and contact Dr. Ronald W Richards, D.C., for a consultation in Fresno, CA or to get more information. Timothy Butler, D.C., is a chiropractor located in Fresno, CA. Techniques: • Palmer Package Take the next step and contact Dr. Timothy Butler, D.C., for a consultation in Fresno, CA or to get more information. Michael W Lassley, D.C., is a chiropractor located in Fresno, CA. Take the next step and contact Dr. Michael W Lassley, D.C., for a consultation in Fresno, CA or to get more information. Steven J Magallanes, D.C., is a chiropractor located in Fresno, CA. Take the next step and contact Dr. Steven J Magallanes, D.C., for a consultation in Fresno, CA or to get more information. Donald Willey, D.C., is a chiropractor located in Fresno, CA. Techniques: • Gonstead • Diversified Take the next step and contact Dr. Donald Willey, D.C., for a consultation in Fresno, CA or to get more information. Be Yang, D.C., is a chiropractor located in Fresno, CA. Take the next step and contact Dr. Be Yang, D.C., for a consultation in Fresno, CA or to get more information. Kevin Steen, D.C., is a chiropractor located in Fresno, CA. Techniques: • Gonstead • Diversified • Thompson • Activator Methods Take the next step and contact Dr. Kevin Steen, D.C., for a consultation in Fresno, CA or to get more information. Gordon D Henrichs, D.C., is a chiropractor located in Fresno, CA. Techniques: • Diversified Take the next step and contact Dr. Gordon D Henrichs, D.C., for a consultation in Fresno, CA or to get more information. Larry F Bassman, D.C., is a chiropractor located in Fresno, CA. Techniques: • Applied Kinesiology • Diversified Take the next step and contact Dr. Larry F Bassman, D.C., for a consultation in Fresno, CA or to get more information. Joseph E Martin, D.C., is a chiropractor located in Fresno, CA. Take the next step and contact Dr. Joseph E Martin, D.C., for a consultation in Fresno, CA or to get more information. Stanley M Cusak, D.C., is a chiropractor located in Fresno, CA. Techniques: • Diversified • Gonstead • Applied Kinesiology • Activator Methods Take the next step and contact Dr. Stanley M Cusak, D.C., for a consultation in Fresno, CA or to get more information. Salo Stanley, D.C., is a chiropractor located in Fresno, CA. Techniques: • Gonstead • Diversified Take the next step and contact Dr. Salo Stanley, D.C., for a consultation in Fresno, CA or to get more information. Roderick Sorenson, D.C., is a chiropractor located in Fresno, CA. Take the next step and contact Dr. Roderick Sorenson, D.C., for a consultation in Fresno, CA or to get more information. Daniel Anrig, D.C., is a chiropractor located in Fresno, CA. Techniques: • Gonstead Take the next step and contact Dr. Daniel Anrig, D.C., for a consultation in Fresno, CA or to get more information. Edward Golden Ockey, D.C., is a chiropractor located in Fresno, CA. Techniques: • Diversified Take the next step and contact Dr. Edward Golden Ockey, D.C., for a consultation in Fresno, CA or to get more information. Patrick A Marchese, D.C., is a chiropractor located in Fresno, CA. Techniques: • Diversified Take the next step and contact Dr. Patrick A Marchese, D.C., for a consultation in Fresno, CA or to get more information. Larry Tsutsui, D.C., is a chiropractor located in Fresno, CA. Techniques: • Gonstead • Palmer Package Take the next step and contact Dr. Larry Tsutsui, D.C., for a consultation in Fresno, CA or to get more information. Edward P Olff, D.C., is a chiropractor located in Fresno, CA. Techniques: • Activator Methods • Diversified Take the next step and contact Dr. Edward P Olff, D.C., for a consultation in Fresno, CA or to get more information. Kenneth Ritter, D.C., is a chiropractor located in Fresno, CA. Techniques: • Thompson • Diversified • Palmer Package Take the next step and contact Dr. Kenneth Ritter, D.C., for a consultation in Fresno, CA or to get more information. Jeffrey House, D.C., is a chiropractor located in Fresno, CA. Techniques: • Diversified • Spinal Biomechanics Take the next step and contact Dr. Jeffrey House, D.C., for a consultation in Fresno, CA or to get more information. Paul Schroeder, D.C., is a chiropractor located in Fresno, CA. Techniques: • Palmer Package Take the next step and contact Dr. Paul Schroeder, D.C., for a consultation in Fresno, CA or to get more information. Debra R Harbin, D.C., is a chiropractor located in Fresno, CA. Take the next step and contact Dr. Debra R Harbin, D.C., for a consultation in Fresno, CA or to get more information. Reza Shakeri, D.C., is a chiropractor located in Fresno, CA. Take the next step and contact Dr. Reza Shakeri, D.C., for a consultation in Fresno, CA or to get more information.